Learning with a sensory table – or in our house, a good ol’ box – can be much more than just a fun time-filler. Sensory play allows children to explore the world around them by physically touching and manipulating materials. This investigative free play helps to develop cognitive, creative, and coordination skills by providing children an opportunity to wonder what if. While this all sounds super fancy, sensory tables can be made with simple household items. We used a shallow plastic tub from Walmart with a locking lid and a simple cloud dough recipe. To keep things interesting, make sure to switch out the manipulation tools on a regular basis! 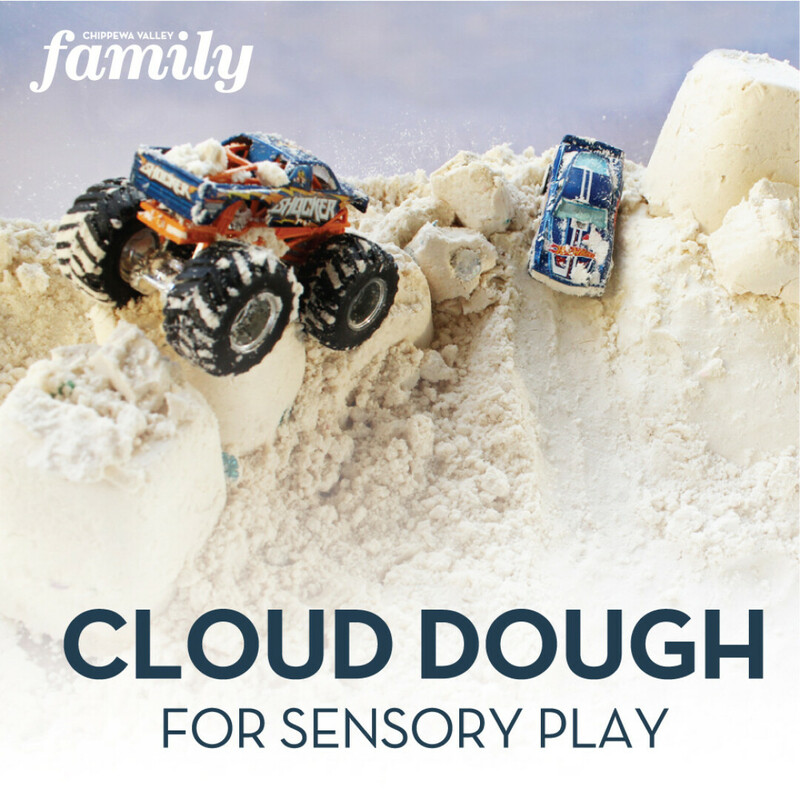 Children can assist in making the cloud dough, practicing math and measuring skills in the process. The original recipe is taste safe (though some add-ins would not be considered safe for ingestion), and it keeps for several weeks in an airtight container. It’s always a wise idea to put down a drop cloth or sheet to catch spills – and never play on carpeted floor. Have fun!